Wouldn’t it be great if you didn’t have to worry about repetitive data-transfer and file updating tasks that leech hours of productivity from your week — those tasks that you do every day, maybe several times a day, that take a lot of time and mental fortitude? Turns out, technology thought of that. Now, thanks to workflow automation tools like Zapier and IFTTT (If This Then That), you can automate just about anything. 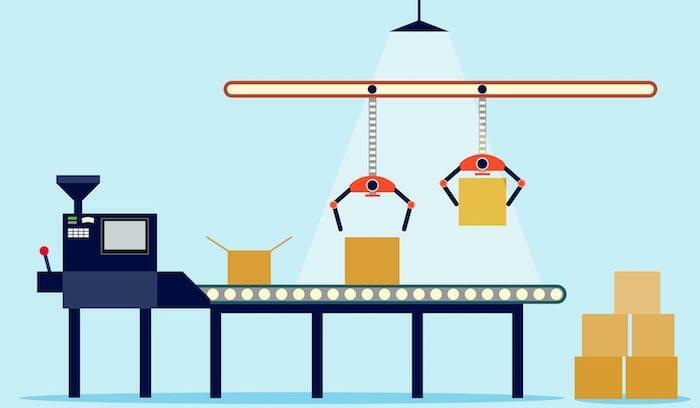 Automating repetitive tasks can make your whole team more efficient and reduce costly human errors. Instead of wasting time on tedious data entry, you can focus on the important parts of your job. If you’re looking for workflow automation tools, start by comparing Zapier vs. IFTTT. These two tools help you transfer data from one app to another, without much oversight. How Do Workflow Automation Tools Work? Workflow automation tools work from a system of rules. Each rule contains a trigger and an action. The trigger signals the rule to run, resulting in the action. 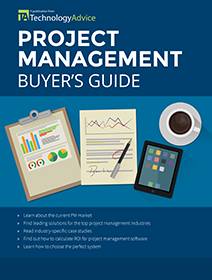 To build a rule, you choose the app(s) the workflow automation tool will monitor. You then specify your trigger — usually the addition or subtraction of new data from the primary app. Finally, you specify your action by telling the automation tool where and in what form to send that new information. >> Trigger: Your manager builds a new Trello card and assigns it to you. 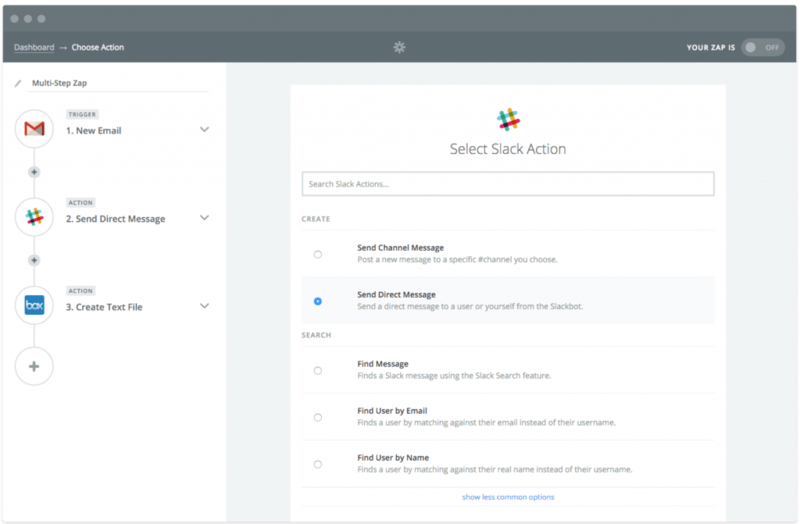 >> Action: The workflow automation tool recognizes the new card and builds a notification to alert you in Slack. >> Trigger: A new lead enters their email information into a signup form on your website. >> Action: The workflow automation tool scans your signup form for new email addresses, and builds a new CRM entry for each one. Automation tools work best for users who have a lot of repetitive tasks throughout their business cycle. 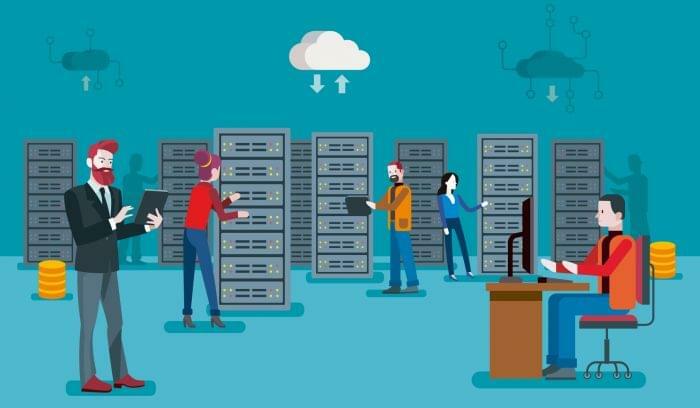 When choosing which tasks to automate, you’ll want to think about processes and connections you wish you didn’t have to think about. 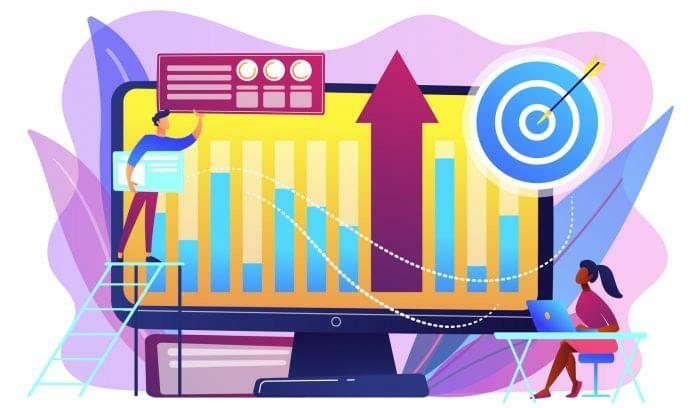 Most of your automated tasks will be one or two-step processes, but lots of teams build multi-step processes that duplicate and transfer data across multiple apps. Pronounced like “lift” without the L, this handy little automation tool is free for all processes, but there have been rumors of a premium version coming soon. IFTTT has tons of possible integrations and millions of recipes, which they call “one-to-one actions.” You can search existing recipes and use them to easily automate your processes, or build your own recipes, but this takes a little more time and skill. IFTTT lets you build two types of actions: Do and IF. DO actions are single actions like building a calendar event or adding a line to a spreadsheet. DO actions require a free mobile app download, and IFTTT automatically prompts you via email to download the app once you’ve made your first DO action. The DO app provides you with a button to push each time you want to perform that single action. I tried this out with a DO button to enter time worked in a spreadsheet. It’s as simple as hitting the “Track your work hours” button when I start for the day and again when I finish working. The time and total hours worked are then automatically inserted in a Work Hours spreadsheet in my Google Drive. You can also download DO camera and DO notebook apps to help you organize tasks that work specifically with your phone’s camera or note-taking app. IF actions are a little more complicated in that they shuttle information from one program to another. Because they involve a trigger from within an application, IF actions don’t require any outside apps on your phone or desktop to run. These actions run silently in the background of your workday, gathering data and pushing to new apps based on the rules you provided. 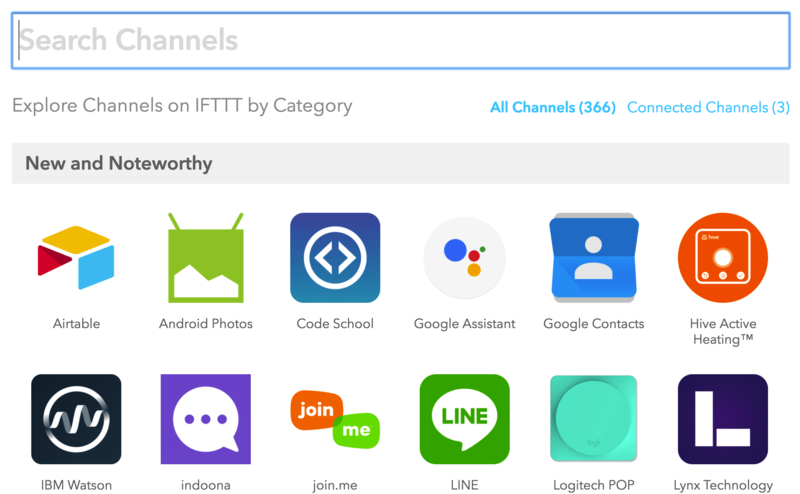 IFTTT’s vast number of app connections means you can automate tasks for sales, marketing, social media management, and business tasks. The site also features a lot of Internet of Things (IoT) integrations, so you could, in theory, automate your entire household. You could adjust your thermostat, turn lights on and off, or even start dinner in your Wi-Fi-enabled crockpot — all without leaving your office. While IFTTT provides a lot of automation possibilities, you’ll find a few drawbacks in this free tool. DO and IF actions are your only options here, so if you have more complicated actions you’d like to automate, you have to make multiple IF recipes. E.g. if you’d like to share a new email sign-up to your CRM and your email marketing list, you’ll need to make a single recipe that works between the signup form and the CRM and then another recipe from the signup form to your email marketing list. Because they’re so specific and anyone using the tool can publish a recipe, it’s a little awkward to search for the right recipe. We do suggest searching through the recipe library for your actions, however, because it’ll save you time in the long run. A lot of the existing recipes are focused on household IoT triggers, so you’ll want to use the search function or some of IFTTT’s curated lists to wade through the noise. 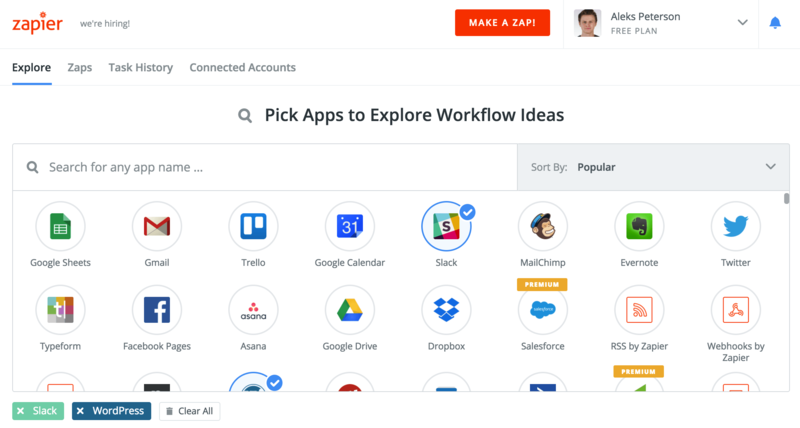 Zapier is the marketer’s dream when it comes to automated workflows. Here, you can make connections between over 500 apps in a drag and drop visualizer. Its user interface is very accessible and doesn’t require a developer to operate. Each trigger/response set is called a Zap, and the free version of the tool supports up to five Zaps. One of Zapier’s strengths over IFTTT is the recent addition of multi-step Zaps for premium users. Instead of building a workflow to share an email address from your web form to your email marketing platform and another workflow trigger to share that same information with your CRM, Zapier lets you update both platforms in succession with a single Zap. You can edit your Zaps easily right in the interface, and changes take effect immediately. There’s even a place to add notes. The Zapier team has put together a complete knowledge base to help you understand Zaps from trigger to action, and how to put automation to use throughout your workday. Both the learning center and the app connections are more business-based than IFTTT, so don’t expect to find a lot about automating the IoT around your house. Zapier isn’t a perfect tool, and there are a couple of drawbacks to consider before you get too invested. First, not all triggers cause an immediate action, because Zapier doesn’t constantly monitor all of your apps. That said, most Zaps complete within 15 minutes. Some users have also reported “Zap loops” — a situation where data is infinitely duplicated from one source to another. Creative and logical tagging help prevent Zap loops, and help documents give specific examples to avoid. Users have also reported that Zaps can break without any form of notification, which might spell data loss. Zapier has recently updated the reconnection process with a Replay function to crawl your app for triggers from the time of the last working Zap and look for failed data. When comparing Zapier vs. IFTTT, you’re not exactly comparing equals. IFTTT is free, but comes with some of the complicated issues you’d find with any open-source tool. The number of connections it provides makes it a great choice for folks who want to automate their home and simple data chores, or for small businesses that can trade a little time for the price of a free product. 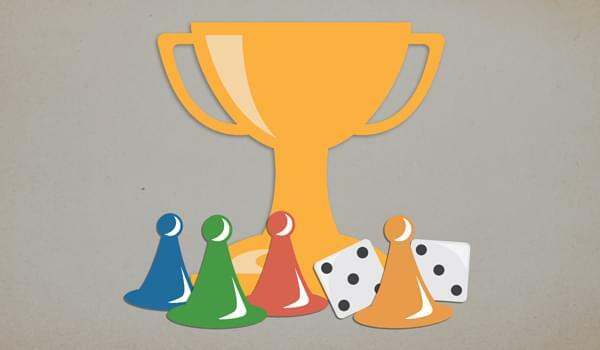 Zapier is a business-oriented tool meant to help speed business processes. That means most of its integrations are made for sales, marketing, and IT. Both of these tools build their models on third-party connections, so keeping those connections current and backfilling information when the connections break will present itself as your newest maintenance task. In the long run, you’ll find that refreshing your connection every so often is a small price to pay in exchange for all those manual tasks you no longer have to think about.